Most Arduino boards already have an LED attached to pin 13 on the board itself. If you run this example with no hardware attached, you should see that LED blink. 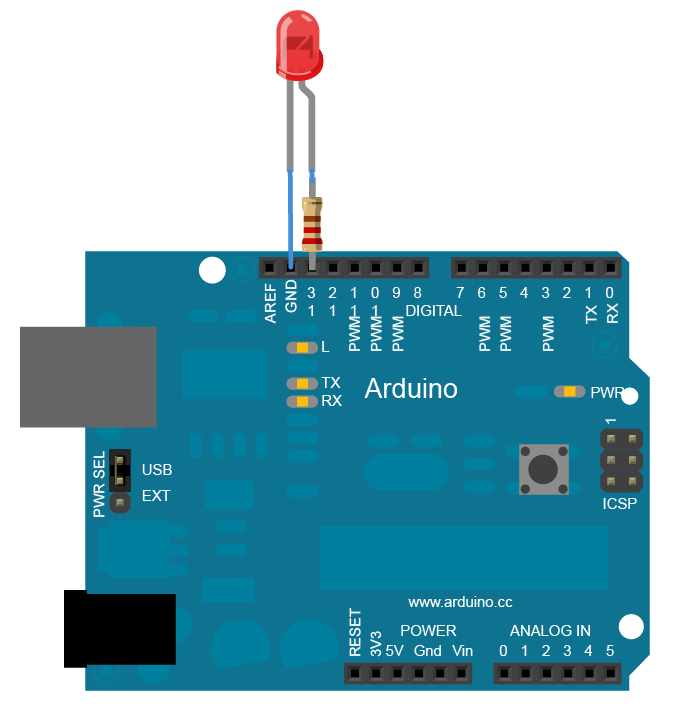 After you build the circuit plug your Arduino board into your computer, start the Arduino IDE, and enter the code below. That takes pin 13 back to 0 volts, and turns the LED off. In between the on and the off, you want enough time for a person to see the change, so the delay() commands tell the Arduino to do nothing for 1000 milliseconds, or one second. When you use the delay() command, nothing else happens for that amount of time. Once you've understood the basic examples, check out the BlinkWithoutDelay example to learn how to create a delay while doing other things. 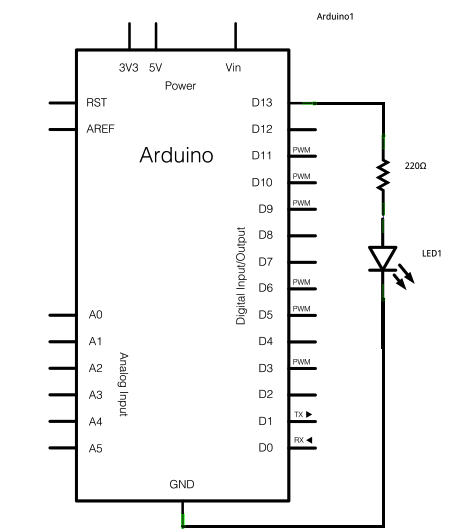 Once you've understood this example, check out the DigitalReadSerial example to learn how read a switch connected to the Arduino. In my case i use 5 LED to blink and give some delay betwitten every blink of single LED. Try to modify the code and make somethink new as you like.